As a child, Chen Wen-shan was taken from her family home in mainland China and sent to live with her great-uncle—a former general in the Nationalist Chinese army who had become one of the first converts to the LDS Church in Hong Kong. For ten years, Wen-shan has carried the sorrow of abandonment in her heart, with few memories of her life before. But at the death of Chairman Mao, fifteen-year-old Wen-shan receives a mysterious wooden box that holds a series of beautiful paintings and secret letter that reveal the fate of the family she has not heard from in more than a decade. As Wen-shan and her great-uncle read the letters in the jade dragon box, they discover an unbreakable bond between each other, their family—both past and present—and the gospel of Jesus Christ. 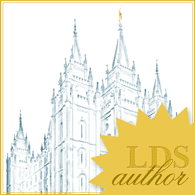 As she did in her last novel (The Silence of God), author Gale Sears again takes a unique moment in not only world history, but also in LDS history, and weaves an inspiring fictional story based on the real people who experienced it. Letters in the Jade Dragon Box, however, focuses less on the Church and more on the devastating effects of Chairman Mao's vicious rule. Through feisty Wen-shan, we begin to understand—at least a little—the sorrow Mao wrought on the people of China, even those fortunate enough to escape the mainland. While the novel lacks a bit in plot and depth, I found the historical detail fascinating. Overall, the book is a fast, compelling read that I found both interesting and entertaining. To the FTC, with love: I received a finished copy of Letters in the Jade Dragon Box from the generous folks at Deseret Book. Thank you!